Looking for an interventionist who lives or works in your area? We explore ways to identify just the right person…and how out-of-state interventionists can also be of services. ARTICLE SUMMARY: A guide to finding a professional interventionist in your city or state. 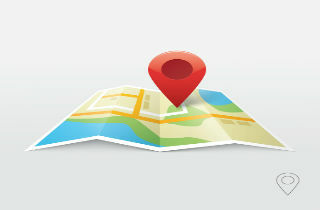 We also review how you can broaden your search to include out-of-state experts. My Area or Out of State? So, you’re ready to hire a professional interventionist? This person can and should help you get a loved one into alcohol or drug rehab. First, we’d like to acknowledge the difficulty in making this decision. The upfront costs might seem high. However, the Association of Intervention Specialists states that the numbers suggest up to 90% of professionally guided interventions succeed at getting the person into treatment. So, not only are you increasing the chances your loved one will attend rehab…you can also have hope that they’ll get their life back on track. How much is that worth to you? Not everyone is a good interventionist. No matter who they are – whether Ph.D., MD, social worker, a marriage and family therapist, or have only a ‘hard knocks’ degree – training is necessary. Taking a weekend course or joining a supervision group does not make a person effective as an interventionist. Further still, even if the person is in addiction recovery…that does not mean that s/he is a clinician or knows about addiction treatment, nor does it mean that they know how to conduct an intervention. Interventions require training, ongoing supervision, and experience! Q: So, what should you be looking for when you spend $3,000+ on a professional intervention? A: A professional interventionist must know what they’re doing and have the experience to back it up. You can be sure to vet the person correctly by downloading and printing this Checklist for Hiring an Addiction Interventionist. For even more advice, you can check out The Definitive Guide to Addiction Interventions, a book that synthesizes the 30+ years of clinical work of Dr. Louise Stanger that has been edited by Addiction Blog Editor, Lee Weber. An intervention can change everything. It can give you hope. It can restore a sense of harmony to your family. And, the person struggling with an alcohol or drug addiction can finally get the medical attention that they need. How can you find the right person? So, should you be looking locally….or should you consider someone who’s out of state? Contrary to popular belief, a good interventionist is NOT LIMITED TO REGION. The right person is ready and able to travel…and has experience working with families of all types. In fact, their fees may not be incredibly different from someone who is local. Further, an out-of-state interventionist may have a broader outlook than someone who is near you. Here are some of the PROs and CONs of each. Be able to travel quickly to you or meet frequently. Be connected to local behavioral and mental health care providers. Be connected to local city/state agencies, including social services. Be limited in their referrals for treatment. Refer to local rehabs or treatment centers. Be available 24-7 on the phone or via email. Be connected to national behavioral and mental health care providers. Bring a fresh perspective to the situation. Have a broader network of referral sources. While you may be concerned about anonymity, also know that Americans are increasingly destigmatizing addiction, especially through advocacy groups like Facing Addiction. In fact, an estimated one in three American families experiences addiction through one close family member. So, your friends and family can also be a source of help. If you’re interested in hiring someone who may have a wider view of the addiction treatment landscape, it can help to search nationwide databases for references to resources. Non-government organizations are especially helpful. Again, you’ll want to refern to the NII website, the Network of Independent Interventionists, and the AIS website, the Association of Intervention Specialists. A good interventionist will establish clinical boundaries between themselves and clients. These boundaries address the length of a counseling relationship, self-disclosure by a counselor, giving of gifts, and the limits of touch or personal communication between counselor and client. A boundary will also define or limit personal benefit of money or services that the interventionist receives. The emotional or dependency needs of a counselor should also be in check. NOTE HERE: Hiring an interventionist is like working with a contractor. So, it is helpful to vet the person you want to work with via a Google search or by talking with colleagues about her/his reputation. Also, ask for a very clear contract and terms of service at the beginning of your contractual relationship. A good interventionist will be able to reference achievements of professional competence. S/He should also exhibit cultural competence when working with specific groups…but not overstep abilities. NOTE HERE: You can ask for all professional qualifications before you sign a contract with an interventionist. You might ask for a resume, a CV, or for 2-3 professional references. Keeping private information private is the hallmark of a therapeutic relationship. HIPPA Forms attempt to clarify the confidential nature of the work of addiction interventionist. However, strict confidentiality should be from the first phone call. The principle of confidentiality should govern record keeping, accounting, informal and formal conversations, treatment decisions, and the person’s progress notes. The right person will also be familiar with state laws about confidentiality and have necessary consent forms, signed, and on file. Mandated reporting, the “Duty to Warn” laws, and exceptions to confidentiality law (drug court, federally assisted treatment programs, confidentiality and minors, age of consent) vary by state. NOTE HERE: Ask potential interventionists to provide you with a statement describing the extent to which confidentiality of records will be maintained, including an explanation on limits of confidentiality, plus who to contact in emergency in my official documentation. 4. Avoid brokers or unethical referral services. Treatment centers have been known to pay bounties to for referrals. This leads to a practice called “patient brokering.” In return for referring a patient to a drug treatment facility, the broker receives a generous compensation of $500 to $5000. Brokers will offer to share this money with patients or entice them with drugs to leave an existing facility and qualify for another because they have relapsed, leading to a revolving door syndrome. Additionally, federal laws such as the Anti-Kick Back Statute make is a criminal offense for anyone to give a kickback with the intent of influencing referral of patients. Some examples include trips, hotels, or gifts. Further, the Stark Law tries to prevent physician’s self-referral, or when a physician refers a patient to a facility s/he owns or family has financial interest. NOTE HERE: Ask an interventionist directly about monetary relationships s/he has with treatment centers. If the person works for the treatment center, this is not necessarily a bad thing. However,know whether you’ll be contracting with the center or the individual directly. You need to officially grant an interventionist permission to carry out an intervention, in full knowledge of the possible consequences, risks, and benefits. An informed content should include a description of any reasonable foreseeable risks or discomforts (consequences of early withdrawal), a description of any benefits to the subject or others, as well as disclosure of any alternative treatments, including medications. NOTE HERE: Ask to sign consent forms at the beginning of your relationship with an interventionist to manage your expectations and set the guidelines for the clinical help you’ll receive. We hope to have given you a good, solid place to start looking for help. We also understand that you may still have questions. Please leave your questions in the comments section below. We try to respond to all questions with a personal and prompt reply.